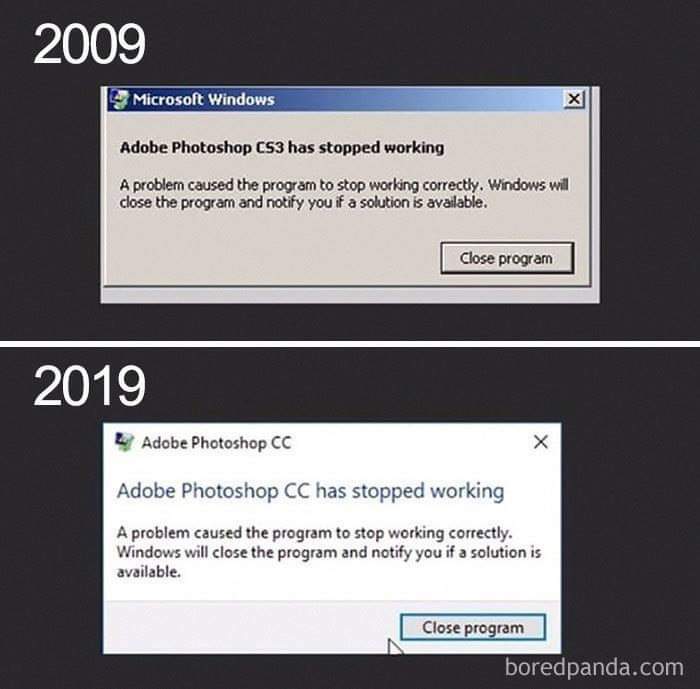 A possibility of turning the #10yearchallenge into the #10yearnoise. 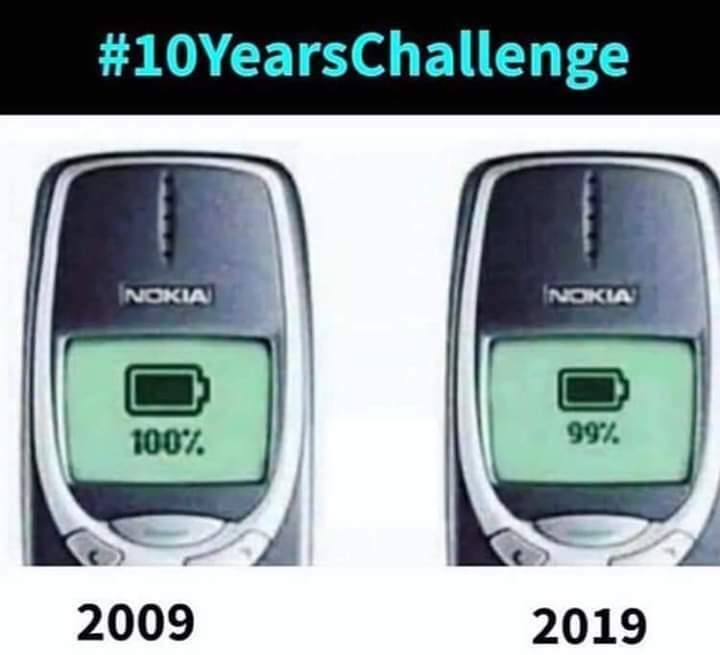 The #10yearchallenge has been popping up on the newsfeeds at an enormous rate. It is quite striking that there is still this senseless rush to post as much as we can about ourselves to this pin-board monster platforms that are eating our time and indeed, our data. Instead of smartly commenting on the prevailing social platforms, let’s use their own tools to evoke a completely opposite result. The #10yearNoise project is a simple, crowdsourced image subversion. 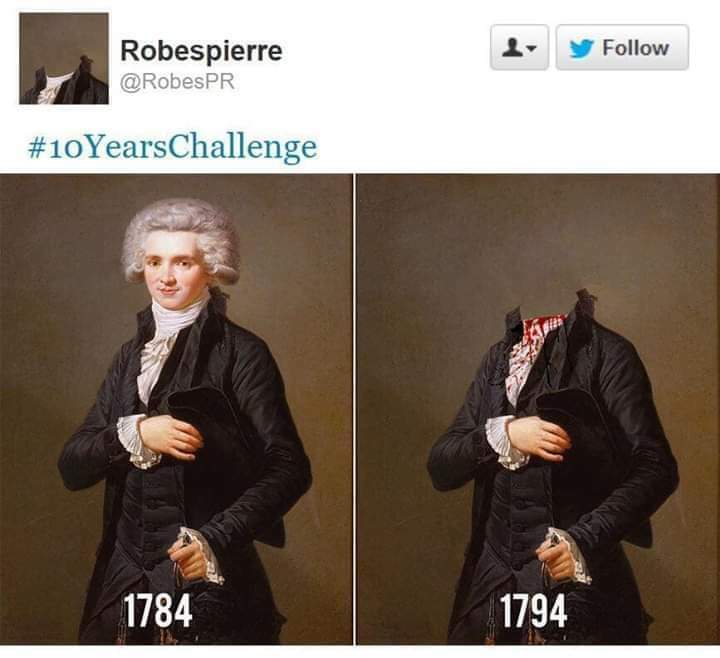 Using the exact format and the hashtag, the content of the images is altered in such a way that is useless for the end-algorithm. Specifically, it is confusing and/or not informing the facial recognition algorithm and it is not helping its faster labeling of data. 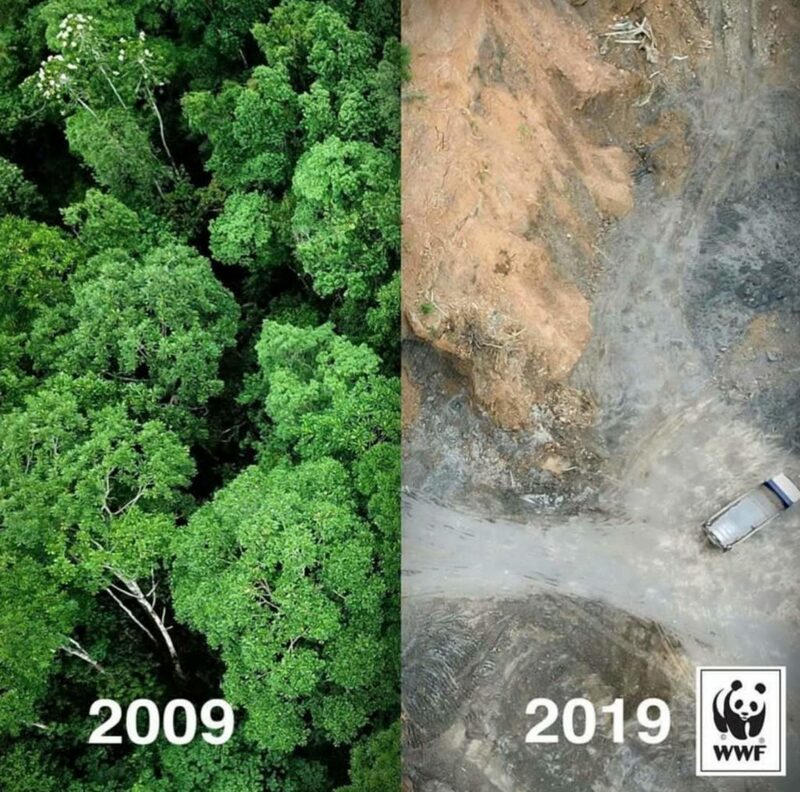 This is a simple example of digital activism that does not take more then 15 min of anyones’s time, but when a great number starts doing the same it gets the similar viral effect as the previous ‘sweet and innocent’ handover of our photos of 10 years prior to now and the latest one. Now imagine if some 100K Reddit users would pickup on the #10yearNoise campaign and start populating the internet with smart spoofs. 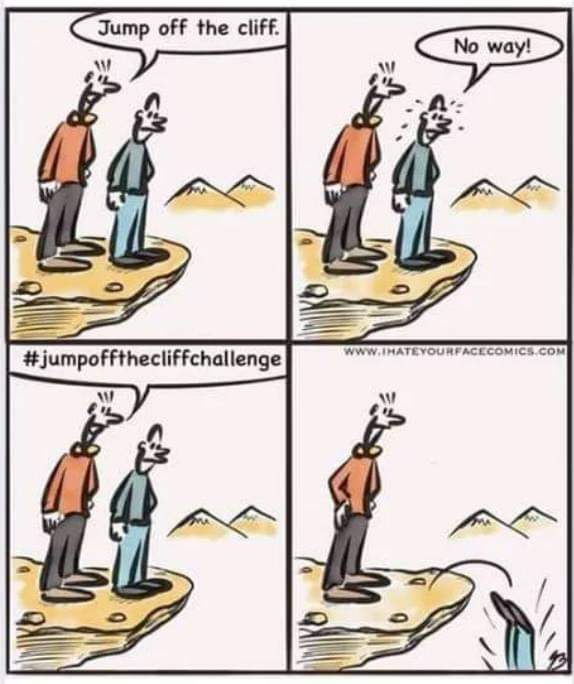 Then Twitter picks us, then Instagram and finally, Facebook. As with hashtags that go viral, you can generally place more trust in the validity of data earlier on in the trend or campaign—before people begin to participate ironically or attempt to hijack the hashtag for irrelevant purposes. But what if ‘the particular sample’ grows larger than the intended one and at the same speed? The thing with the hacktivists that helps projects like these is their knowledge of how the algorithms of social media and Google work and (to put it in plain marketing words) – how to ‘seem’ really popular really fast. 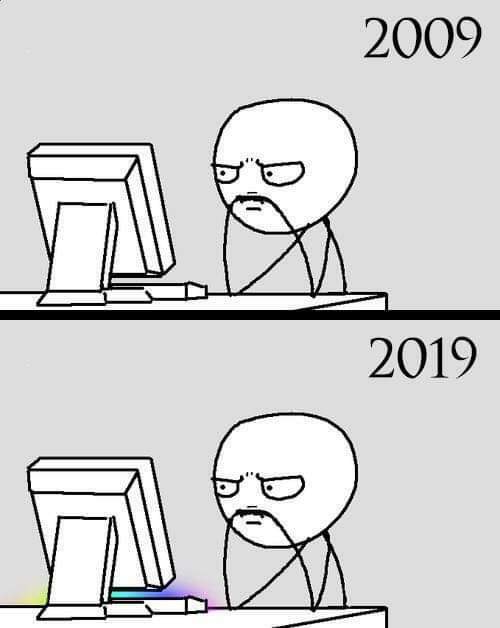 It would be plausible to imagine completely reversing the point of the #10yearchallenge to become the funniest or the most weird #10year(something). A competition for the smartest, coolest …etc #10yearNoise photo could be proposed as well. The only thing is – it should be done as early as possible when the first signs of virility become visible. The structure behind it is the same structure used to extract data, now turned in the opposite direction, feeding the system with the huge amount of useless information. The use of humor is almost instrumental in approaches like these. Do you know that jokes are dictator’s worst nightmare (and why they are instrumental in the social change) – learn more on #laughtivism. 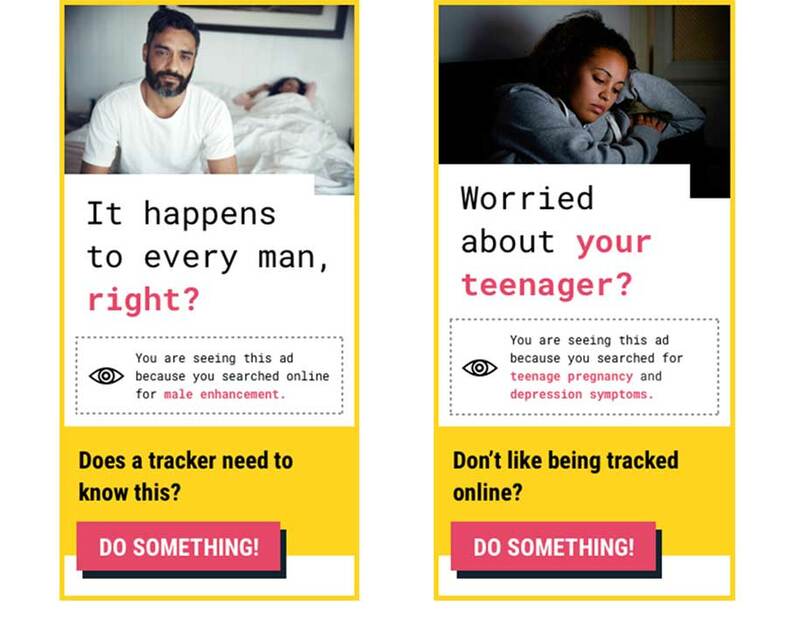 In the wake of the GDPR being put into vote, in the summer of 2017 my team and I have done a SuperTracker project calling on people to be more aware of how they share their data online – we used Google for it, specifically, the Google ads. We used Google’s own tracking system to expose how tracking works. People are usually not aware that the system is set up in a way that one constantly gives out sensitive information. The keywords chosen were the very sensitive and personal and the ads were revealing in a twist how you (as a user) actually overshare just by searching. The project was done for the Panoptykon Foundation and BitsofFreedom. Have a look at the SuperTracker. The new data privacy slang we have created for the project were used as ads for the separate audience – ones already aware (and researching) the data privacy issues. 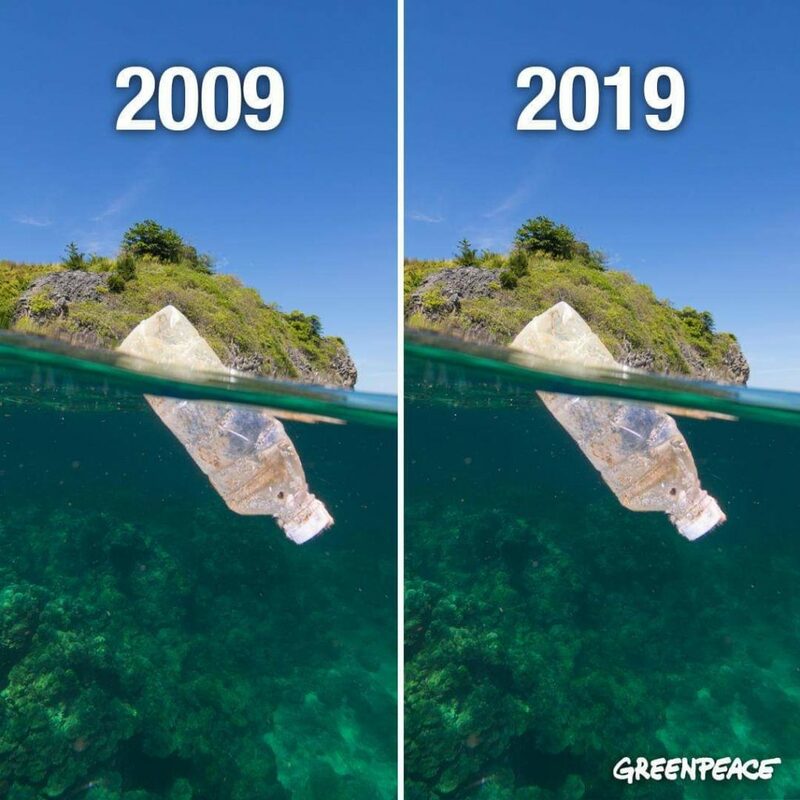 With the ecological ones being brilliantly on point – while we spend time framing our faces to look as beautiful/cool/smart/skinny as possible, the Earth is slowly drowning in plastic and the natural habitat is disappearing. 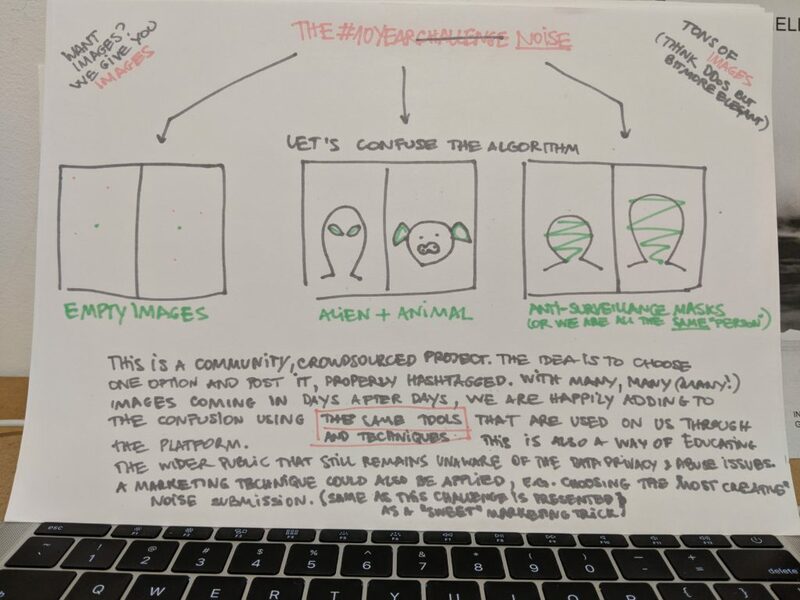 The way humans expose themselves through silly participations online and offline is a process that deserves a separate piece of research- heard of the Birdboxchallenge? 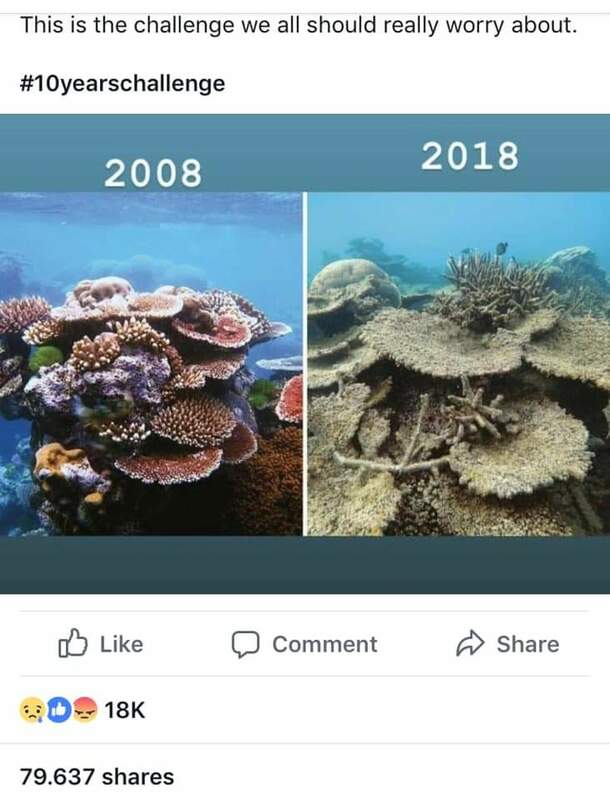 Are we going to ‘post’ ourselves to extinction or just to total control? Many more #challenges await. Diligent authors posting on social media.